You may be fond of your local farmers’ market, and by gosh, you should be. But pretty much nothing can touch the Wednesday Santa Monica Farmers’ Market. Spread over three city blocks, the fragrant bazaar is unrivaled when it comes to range and quality of produce. How to do it: Get there early. Chefs like Miles Thompson (Michael’s) and Nyesha Arrington (Native) are known for snapping up the most prized produce shortly after the market’s 8:30 a.m. opening. You’ve done the back benches; you owe yourself an experience. How to do it: Get close to Gustavo Dudamel without breaking the bank by taking advantage of the venue’s single-show tickets, which go on sale in May (typically on a Sunday—sign up for L.A. Phil newsletters to stay apprised). If box subscribers haven’t renewed their seats, everything that’s open is up for grabs. Purchase over the phone or online, or go old school and hit up the box office on-site. Did you know? You can crash the L.A. Phil’s rehearsals at the Hollywood Bowl—for free. If you don’t nab tickets in May for the shows you want, pop into the orchestra’s open rehearsals July through September. Be sure to call ahead; schedules are subject to change (323-850-2000). 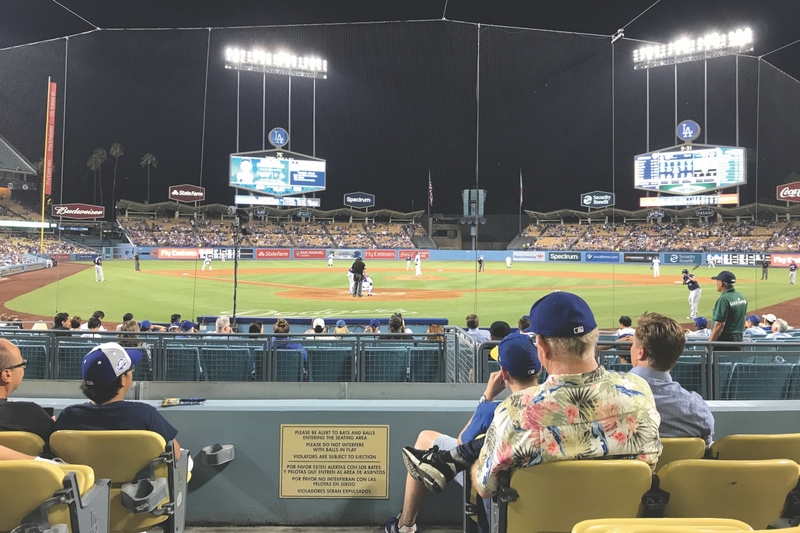 Sit behind home plate during the season opener at Dodger Stadium and you become part of history. Clayton Kershaw throws the season’s first pitch, and whoop, there you are, on camera with Larry King and Mary Hart. So be cool and act like you belong. How to do it: Seats here average $1,250 on opening day. Start checking for ticket availability a few weeks ahead on Seat Geek; prices can drop dramatically as game day approaches. The appeal is mystifying only until you’ve witnessed the breathtaking spectacle for yourself: Thousands of grunion—anchovy-like fish endemic to California and Baja—wriggle up onto beaches, creating sandy nests and spawning. It’s behavior that’s almost singular among fish and a lure for countless Californians. How to do it: April and May are peak season. Trek out to Cabrillo Beach between 10 p.m. and midnight on any of the four nights following a full or new moon. Look but don’t touch—to scoop some up, you’ll need a fishing license. There are no paparazzi at Griffith Observatory’s monthly star parties, but the shindigs are still pretty lit: On designated Saturdays, volunteers from the Los Angeles Astronomical Society and other orgs help the masses peek through telescopes to see the sun and moon. Stick around on a springtime night to glimpse Jupiter and Saturn at their brightest. How to do it: Hundreds of people show up, and the lines for telescopes can get long—hop in early before viewings end at 9:45 p.m. Pedal, walk, or skate through city streets with nary a car to contend with, and you see the city in a different light. This is only part of the sorcery of CicLAvia, which shuts down thoroughfares in different parts of L.A. for its events several times a year. How to do it: Check ciclavia.org ahead of time to see which stores and restaurants along the route are offering deals. If you want to show some civic spirit, ride the Metro to the starting point. 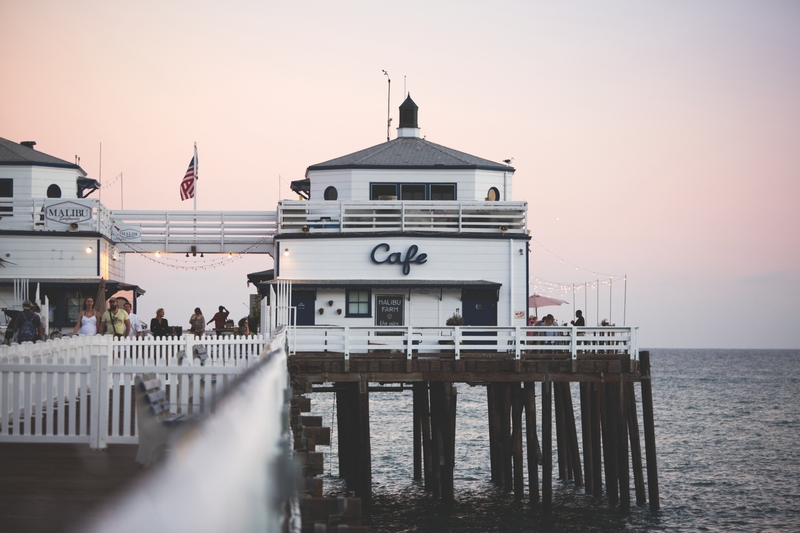 Owner Helene Henderson’s Point Dume garden dinner parties were the inspiration behind the whitewashed spot on the Malibu Pier. Thankfully, you don’t need an invite to savor the delights at this idyll. How to do it: Avoid brunch crowds by setting an early alarm or going at an off hour (sip a cup of coffee from local roaster Caffe Luxxe while you wait, if you must). Dinner guests should book an outdoor table for a side order of sunset views and sea breezes with their fresh fish tacos. The San Marino institution hosts a traditional experience in its exquisite Japanese garden. Take an exterior tour of the tiny teahouse and its many features (including the tsukubai, where guests rinse their hands and mouths to symbolize purification) before heading to the Ikebana House for the ceremony itself. Let’s just say that it’s a lot more elegant than watching a barista. How to do it: The event takes place several times a year, so scan the Huntington’s calendar and register online. Not the museum type? Change your ways with this checklist of the city’s most famous masterpieces. 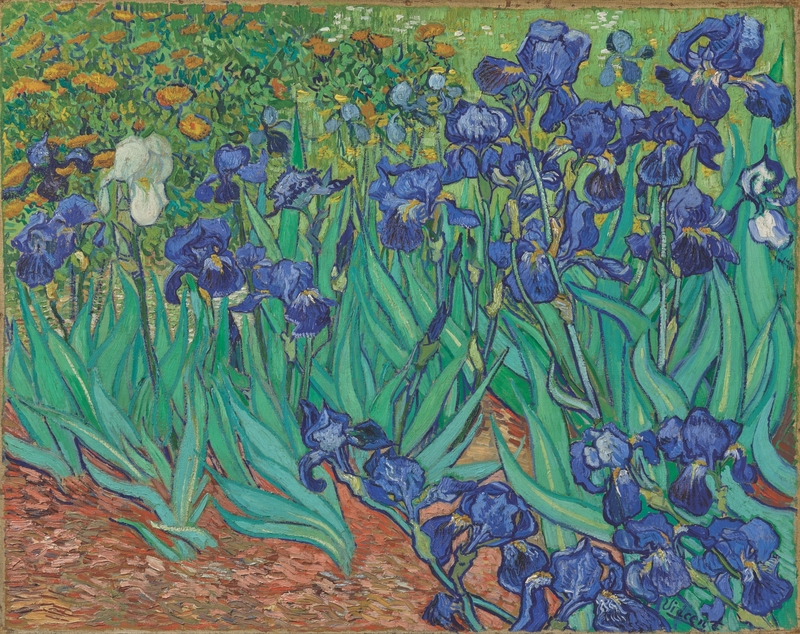 Irises at the Getty: You’re already on the hunt for world-renowned works of art, so don’t overlook the botanical marvel right under your nose: Light-and-space artist Robert Irwin designed the museum’s sculptural gardens, setting the tone for any flower-seeking foray. Post up for a springtime picnic before heading into the west wing to see Vincent van Gogh’s Irises. Painted at an asylum in Saint-Rémy, France, the 1889 work is considered one of the Impressionist master’s finest. La Trahison Des Images (Ceci N’est Pas Une Pipe) at LACMA: Belgian surrealist Rene Magritte shook the 1920s art world with this painting of a tobacco pipe above the words “This is not a pipe.” Chew on that paradox for a while before taking a pic at Chris Burden’s Urban Light (you’ve gotta) and hitting the exhibit Outliers and American Vanguard Art, which runs through November through March and looks at how later generations of artists across the pond from Magritte shook things up in their own way. Infinity Mirrored Room at the Broad: Don’t settle for Insta-gazing. Yayoi Kusama’s sparkling installation must be appreciated IRL. But here’s the catch: Your (free) timed-entry museum tickets, bookable online, won’t get you in—you need a separate reservation. Tuesdays and Thursdays are less busy; arrive at the museum by 1 p.m., put yourself in the Kusama queue at the tablet in the lobby, and you’ll likely be inside the installation a few hours later. Woman With a Book at Norton Simon: Pablo Picasso painted many portraits of his young lover Marie-Thérèse Walter, but this rendering of her posing pensively with a book is perhaps the most revered. It lives alongside other brilliant works at Pasadena’s serene Norton Simon museum, home to Edgar Degas’s Little Dancer, Aged Fourteen and an impressive collection of South Asian and Southeast Asian art. At 452 feet, City Hall is far from being L.A.’s loftiest tower (the 1928 structure gave up that title more than 50 years ago), but there’s no other perch quite like it. From a gorgeous lobby filled with arches and marble work, it’ll take two elevators and a flight of stairs to reach the 27th floor observation deck, open to the public on weekdays. Once you’re there, drink in a city that’s radically reshaped itself over the past nine decades. Baldwin Hills Scenic Overlook: The stairs are brutal, but the hilltop view is unparalleled. Griffith Observatory: A classic that’s worth the parking hassle—especially at sunup or sundown. TV House: The rock-walled split-level seen on The Brady Bunch (11222 Dilling Street) is one of L.A.’s best-preserved filming sites—for now: The pad just sold to HGTV. Restaurant: Housed in a former general store/post office, Old Place (29983 Mulholland Highway) most notably appears as “The Bookhouse,” a secret-society meeting site, on Twin Peaks. Beach: The rocky shoreline of El Matador State Beach (32350 Pacific Coast Highway) is the very same spot where Ryan Gosling famously proclaims, “If you’re a bird, I’m a bird,” in 2004’s The Notebook. Building: A modernist marvel, the John Ferraro Building (111 North Hope Street), aka the LADWP HQ, is a backdrop for a dream sequence in 2010’s Inception. What with its eight-story atrium, historic details, and more than 2 million books, DTLA’s Central Library astounds. On April 9, stop in, high-five a librarian, and then get your library card to peruse the archives and a near-unlimited selection of audiobooks.